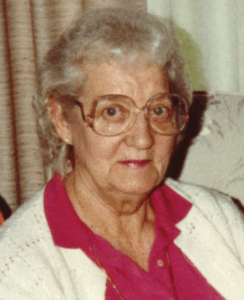 Hudson – Mary E. (Meserve) Vickers, 103, of Hudson, beloved wife of the late Charles E. Vickers, passed away quietly at home Jan. 10, 2019 after a short illness. 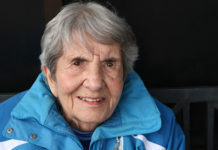 She is survived by her son, Robert Faulkner; her daughter-in-law, Cecile E. Vickers; and her grandchildren, William Faulkner, Theresa and Michael Washkevich, Everett and Suzanne Beaulieu, and Shawn and Maria Beaulieu. Her very extended family included eight great-grandchildren and their families, five great-great-grandchildren, and many nieces and nephews. She was also predeceased by her son, Charles E. Vickers Jr., and granddaughter, Patricia Faulkner. A small private ceremony will be held graveside, a Life Celebration will be held in the spring. In lieu of flowers, please send donations to the American Heart Association in Mary’s name. To all her friends and family who have loaned us their prayers and aid, thank you.